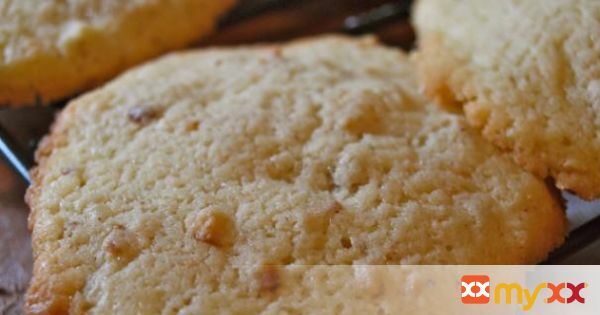 These buttery hazelnuts cookies are perfect to enjoy anytime of the day! They are soft and slightly sweet, just enough to satisfy that sweet tooth in you. Although they may not "technically" qualify to be called a shortbread since they do contain an egg and a bit of cream, perhaps they're more of a butter cookie. Whatever it is that you want to call them, so be it…I believe the recipe speaks for itself and if you love buttery cookies as much as I do, I hope you love these! 1. Cream butter, egg and sugar until incorporated. 2. Add flour, salt, vanilla and cream. Mix until all ingredients are fully blended. 3. Stir in hazelnuts with wooden spoon. 4. Pour cookie dough out on to a sheet of wax paper in the shape of a log. Roll it up so completely sealed and chill for at least 40 minutes. 5. Once chilled, pre-heat the oven to 375. Slice up your cookies and place on a silpat lined baking sheet, drop a dollop of cookie batter leaving at least 2 inches apart on all sides. I like to sprinkle a tad bit more sea salt over each cookie before baking (you can omit this step but it really brings out the buttery flavor). 6. Bake for about 12 minutes until edges just start to turn golden. Remove from oven and cool on wire racks.